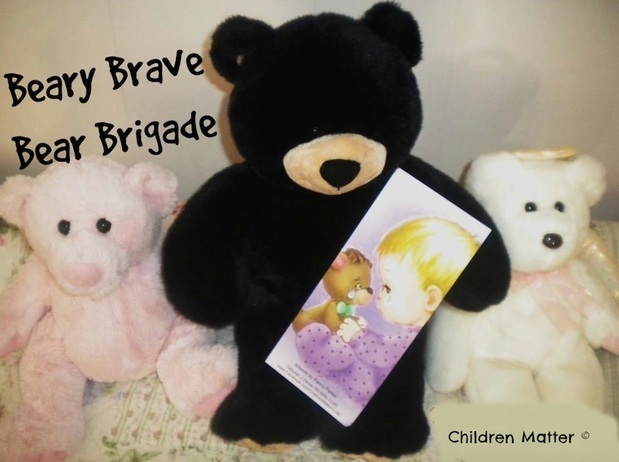 The "Beary Brave Bear Brigade"
Connect 4 Faith partners with "Children Matter," founded by Deb Diener, RN BSN CLNC, for a special project she created called the "Beary Brave Bear Brigade." We collect new cuddly teddy bears to be distributed to groups and organizations that serve children who could use some help being brave. Each bear is tagged with a special card that has an encouraging poem by Deb. If your group or organization wants to be a collection point for the bears, has need of donated bears, or can volunteer to help deliver bears, please contact us. ​Thanks for your generous support of this project! Some pictures from Beary Brave Bear Brigade deliveries to a few of our local heroes for children! ​Click HERE to link to the article which appeared in the Times-News regarding this project.